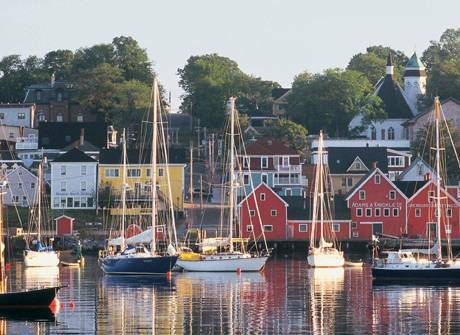 Our home is located on the coast of Nova Scotia, 20 minutes from Canada's oldest city, Halifax. 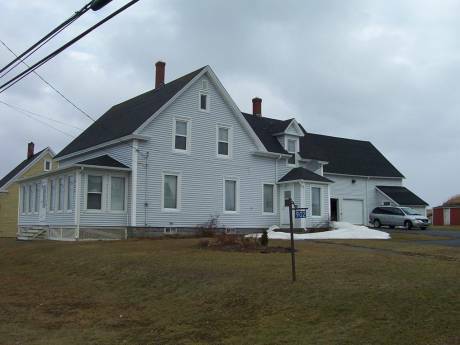 It is an oceanside century restored Irish "saltbox" style house ideally placed in the village of Ketch Harbour. It has a private garden, one 4 piece bath, 3 bedrooms (two with double beds and one single), a newly renovated kitchen (2006) that combines with the dining area, living room which includes a large cast iron wood stove, an office/ studio space and a small meditation/ reading den. Our home is well maintained, comfortable and inviting to friends and family. I have never yet heard anyone who has not enjoyed their stay in our home and our community. Our neighbors and other friends have participated in house exchanges in the past and have encouraged us to do the same. So, here we are! My name is Alana (35) and I am studying architecture after many years of working as a project manager in economic development. I have one son, Gharrett (16) who is a competitive sailor and is currently on exchange studying grade 10 abroad. We are both very active in outdoor sports: sailing, rock-climbing, hiking, soccer, rugby, cycling and swimming are the favorites. We are both bilingual: English and French. We have lived in our home for almost ten years with our beloved and well-behaved pets, Cloe (13 year old Siberian Husky)and Samuel (13 year old marmalade cat). We love both our home and our community and know practically all of the residents by name. We are very respectful of our own and other people's possessions and expect that those who visit our home will have the same spirit of respect. We look forward to hearing from you! 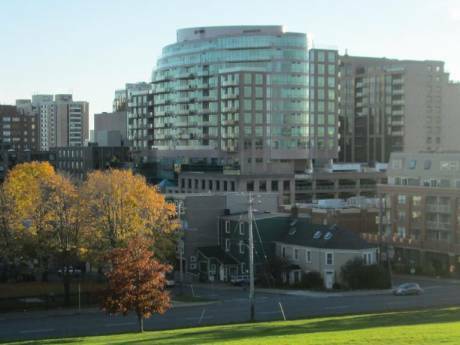 Ketch Harbour is located on the Atlantic Coastal approaches to Halifax Harbour from downtown Halifax. Ketch Harbour is a small hamlet of approximately 500 residents. It was settled by Irish families in the mid 1700's and is now home to an ecclectic blend of their descendants and newcomers who are mostly working professionals. The entire community is wonderful, however a special note must be given to my immediate neighbors, all whom have become family to us in the decade we have lived here. We are 5 minutes from three gorgeous white sand beaches, all water sports happen on our doorstep, there are numerous coastal hiking trail opportunities, and historic Halifax with its tall ships, shops, festivals, nightlife and museums and galleries are only 20 minutes away. We have the best of both rural oceanside living and urban excitement.